This is a post about ELA flash cards for use in kindergarten and first grade. They can be used to enhance your ELA curriculum, small group activities, or literacy centers. ELA flash cards are tools that are ideal for accompanying your kindergarten or first grade ELA curriculum. They’re basic in principle, simple to prep, and will help support the ELA activities you’re doing in your classroom. 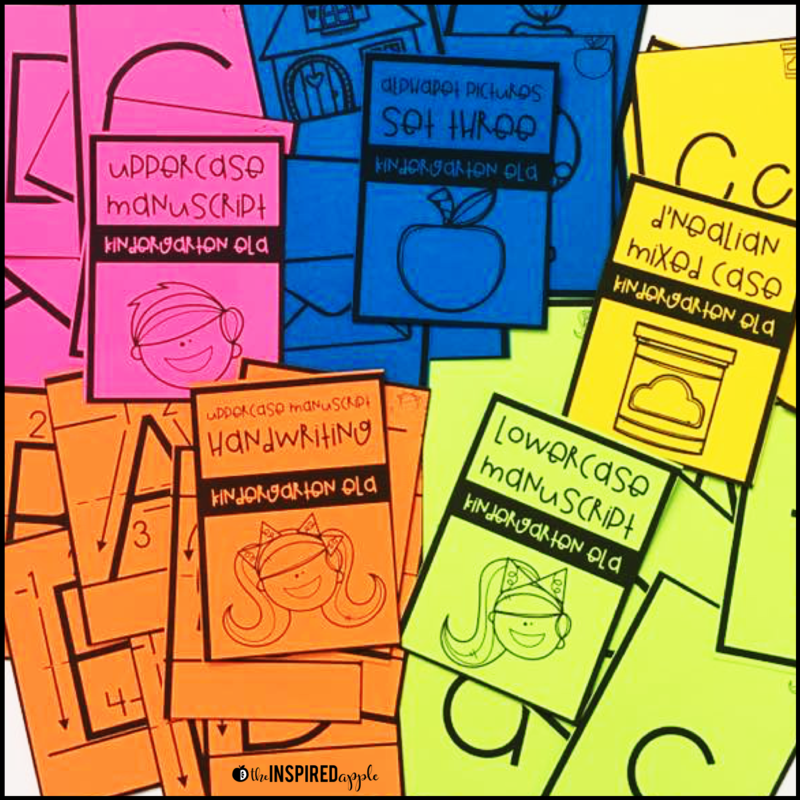 Each resource contains 50 sets of flashcards that you can use to for a variety of purposes – from guided reading to intervention to differentiated student practice and more. These sets weren’t designed to be stand-alone activities, but to assist in your instruction of basic ELA principals in kindergarten and first grade. To keep it simple, there are only straight line cuts. It takes only minutes – if not seconds – to prep an entire set. Each set of cards also contains a unique marker so that you can easily see which cards go together. This is great for teacher and students! Organization is SUPER easy, especially if you can snag some of these great containers from The Dollar Tree! However, you can easily pop them into a plastic baggie, an envelope, or on a ring, too! Here’s some suggestions for how these can be used in your classroom! While you can purchase individual sets, the MEGA BUNDLES are for sure the money-saving option! You can click either graphic below to learn more. PS. You can totally snag a FREE SAMPLE using the subscribe form found at the bottom of this post! I’d love to have you join The Inspired Apple so you can stay up to date on activities, ideas, new resources, and special sales in my TpT Shop. PSS. These flash cards are the *perfect match* to this set of FREE literacy center posters! Click HERE to snag them! This post uses affiliate links for the convenience of the reader. Should you make a purchase via one of the links shared within this post, I will make a small commission. This will not affect the price of your purchase and helps support The Inspired Apple. Previous Post: « Turkey Freebies for Teachers!